Wilmington North Carolina is the gem of Coastal Carolina. Whatever your style or interests, you’re sure to find your niche in this historical, yet modern town. There is something for the whole family here. Meet your educational needs at all levels in our award winning schools and colleges, including Cape Fear Community College and top ranked, University of North Carolina Wilmington. Let the thriving arts culture and nightlife fulfill your social needs. Embrace the art lover in you at one of the monthly art walks. The city also has several museums including the Wilmington Railroad Museum and The Children’s Museum of Wilmington. Step out from the daily grind of work and enjoy diverse and award winning dining and shopping where the southern charm collides with a twist of international flavors just minutes away from home. The endless shorelines and other waterways provide a day of relaxation. You will find your way of winding down, whether you are at the beach, taking the day to fish, or canoeing on the Cape Fear River. For the times that you don’t have your feet in the sand, go work on your hole in one at the Cape Fear National Golf Course. Wilmington also offers community togetherness with a variety of annual festivals for everyone to enjoy, some good old fashioned southern hospitality. 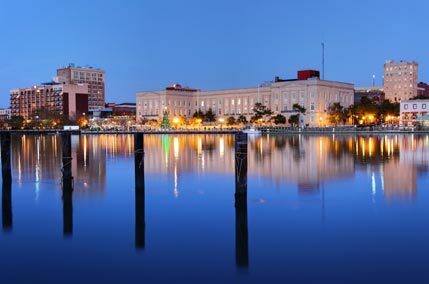 With so much to offer, Wilmington is one of the top places to raise your family and beyond.